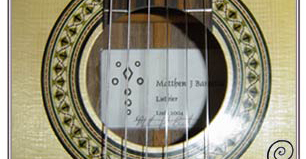 Martyn Booth Guitars are designers and builders of high quality handcrafted guitars based in Suffolk. 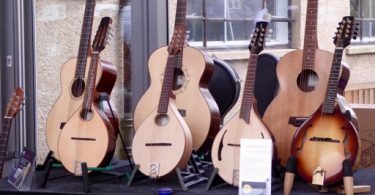 Martyn Booth, a luthier since 1975, worked for Gibson guitars in the UK before moving on to Yamaha UK throughout the 1980s as their guitar specialist. During this time he designed and developed the MSG/Image guitar which became something of a cult classic. He also co-designed a guitar for Martin Taylor, one of the world’s finest jazz guitarists which was used as the basis for their AEX 1500. 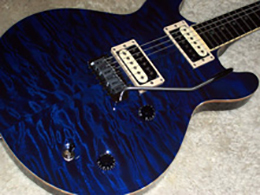 Customers have a lot of say in the materials used in the production of their guitar. They can choose their own figured or plain maple top, ebony or rosewood fingerboard, pickups, hardware, finish and unique personalised headstock inlay. 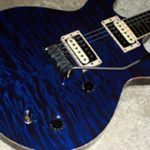 They can also specify neck dimensions and fretwire to ensure the ultimate in playability. If this choice seems overwhelming don’t worry; they have a range of standard configurations available or alternatively will happily talk customers through the specification process step by step.